Did you know that calling tomato sauce marinara is technically incorrect? How many types of pasta are there in Italy? Why do people call me Marinara? 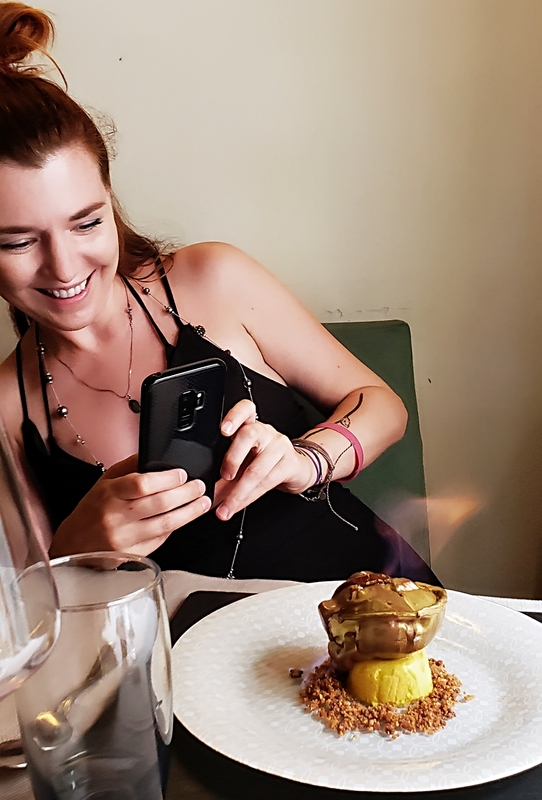 These questions will be answered as you read this blog post 🙂 Or you can just look through the photos. Either way, thanks for being here! 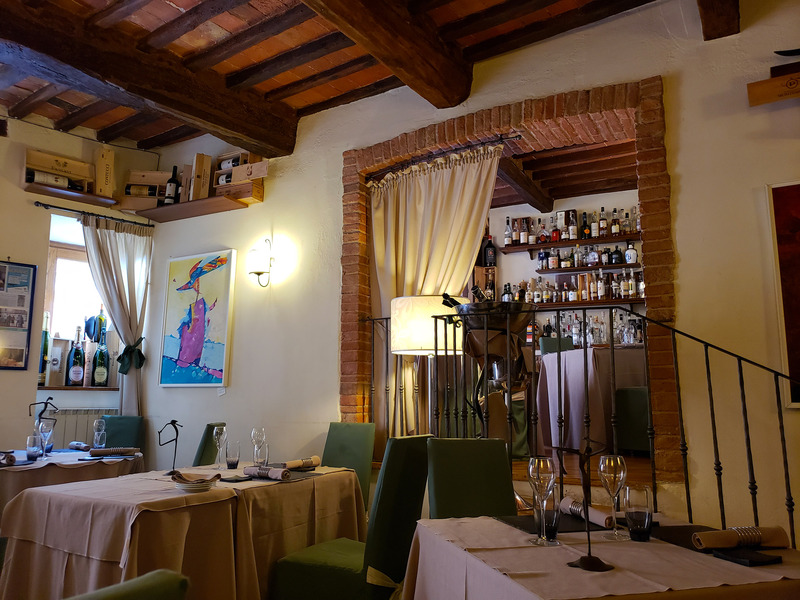 One of the most wonderful memories from our time in Tuscany this summer was taking a cooking lesson at Le Logge del Vignola, a beautiful restaurant in the historic center of Montepulciano. Nick & I learned how to cook osso buco, tomato sauce, pasta, cheese souffle and tiramisu, all from scratch. It was AMAZING! My biggest surprise was that this lesson was just for me and Nick. 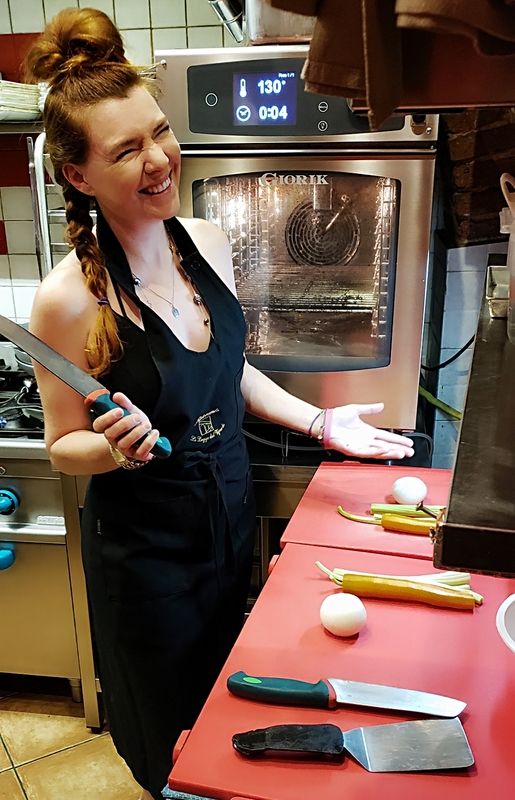 I had only seen cooking classes on TV and in movies (there always seem to be multiple couples learning how to cook), so I expected several others. But this lesson was private – just us! 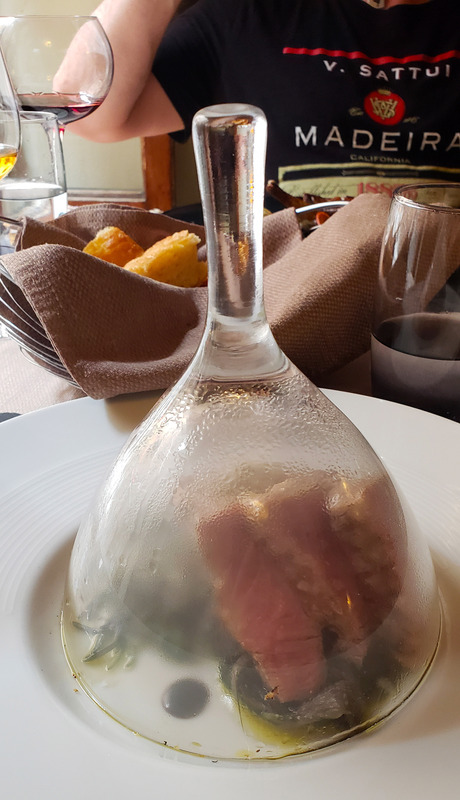 That’s how they roll at Le Logge del Vignola! At 9:30am, the restaurant owner Massimo Stella greeted us at the door with a smile and a hug. Nick & I put our aprons on and proceeded to the restaurant’s cozy kitchen where in the next 2 hours we learned the basics of Italian cooking. 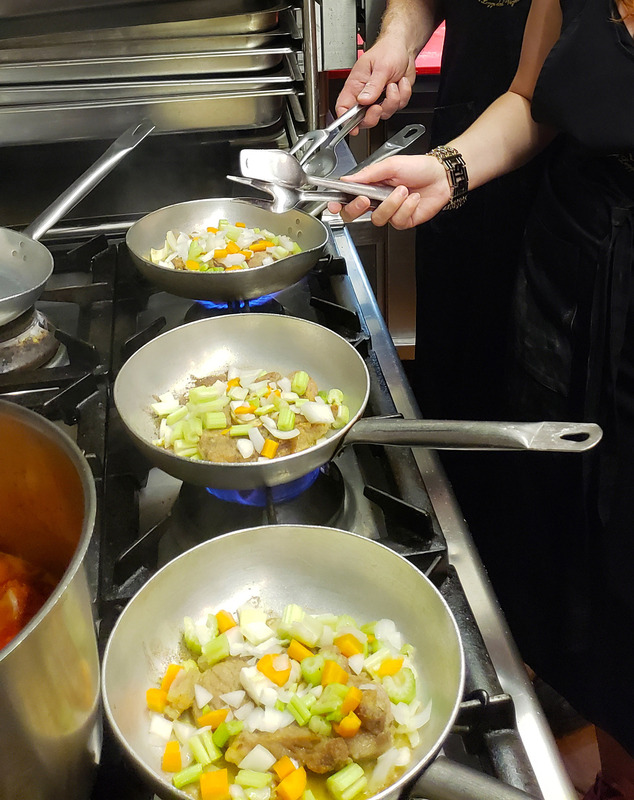 Massimo and our instructor Eduardo showed us step-by-step preparations of the region’s most notable dishes while sharing the history of the restaurant, the area, the wine and the art of cooking. Every region in Italy has its own pasta (there are thousands of types of pasta!!). In Montepulciano (the Siena area) it is pici (pronounced pee-chee), which is hand-rolled pasta, like a thicker, more uneven spaghetti. During our week in this part of Tuscany we saw pici on every menu in every restaurant (and ate it almost every day, too!). But not every restaurant makes pasta by hand. 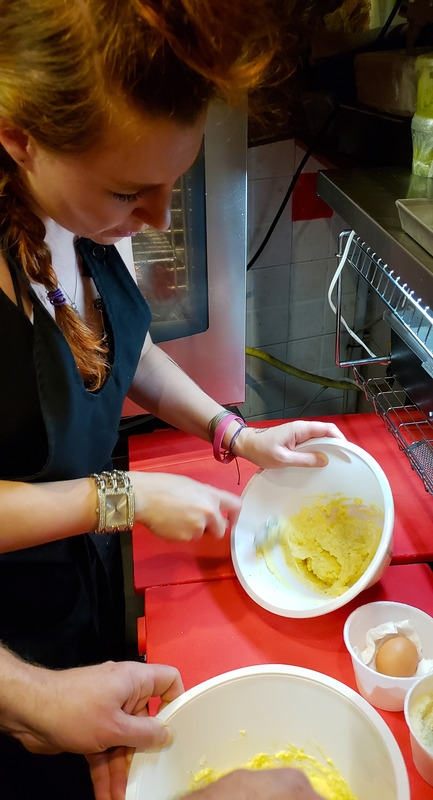 If you go to Italy, the tell-tale sign of a great restaurant (where people truly care about quality) is the note on every menu “pasta fatta in casa, fatta a mano” (pasta made in house, made by hand). 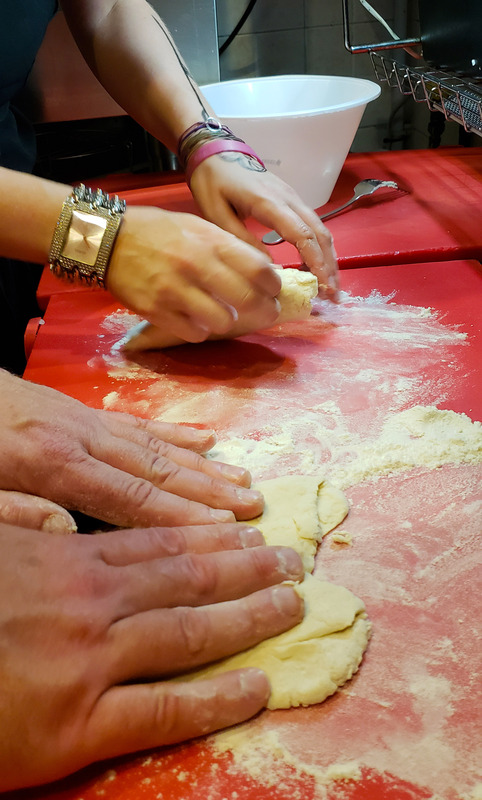 At Le Logge del Vignola, pasta is housemade, by hand, every day. I was surprised to learn that calling tomato sauce “marinara sauce” (as we do in the US) is incorrect. Marinara sauce, in Italy, is a tomato sauce with seafood. The basic tomato sauce (the one we call marinara) is simply called “salsa di pomodoro” (sauce of tomato !). (Funny note: auto-correct often changes my name to Marinara. Countless times friends texted me: Hi, Marinara!). Take a look at the photos below. Click on the first one and go next. I put captions under some of the photos. When I signed up for this class I saw that our cooking lesson included lunch. I thought that meant we were going to eat what we cooked. Which we did (with wine!) It was DELICIOUS!!! Yet afterwards, as Nick & I were picking up our printed recipes and preparing to say our goodbyes, Massimo said to come back in about an hour for lunch! Below are the photos. Click on the first one and then on the arrow to see other images. 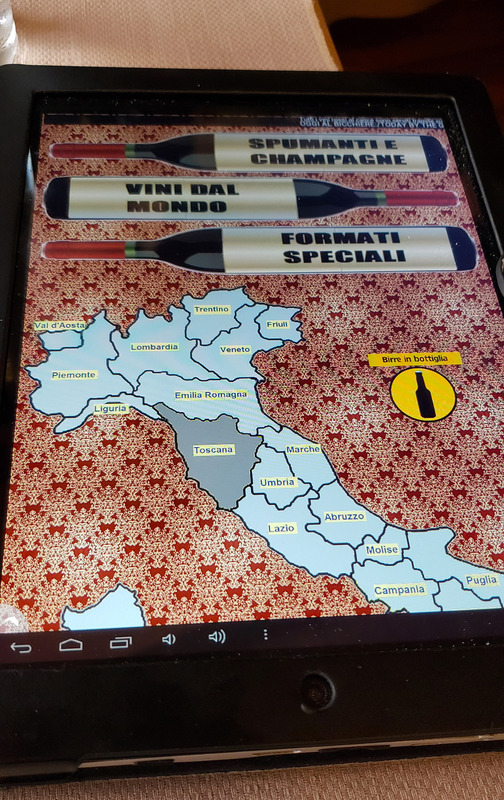 the wine menu is an iPad! As I was taking this photo, Massimo popped out to say bye one last time! Thanks again, dear Massimo Stella!!! I really hope we get to return to Montepulciano and to Le Logge del Vignola! P.S. 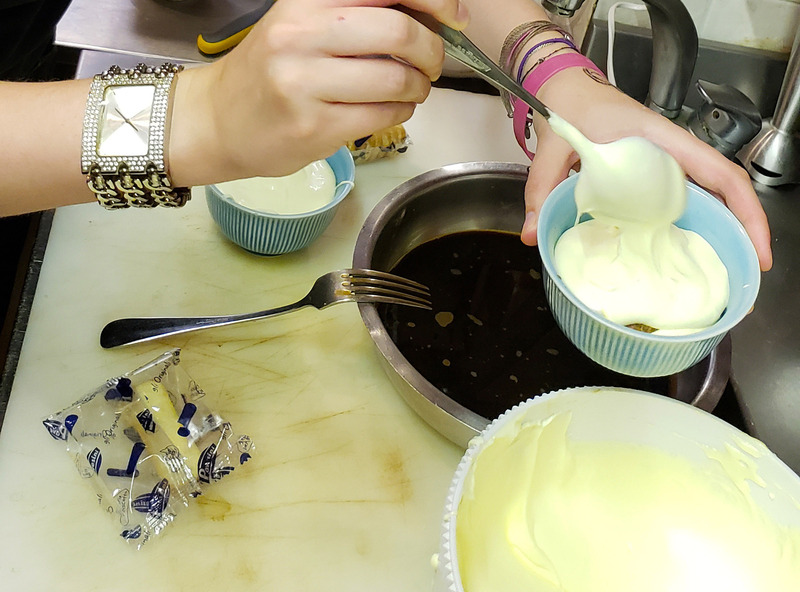 Have you ever taken a cooking class? What was it like? Please leave a comment – I’d love to hear from you! 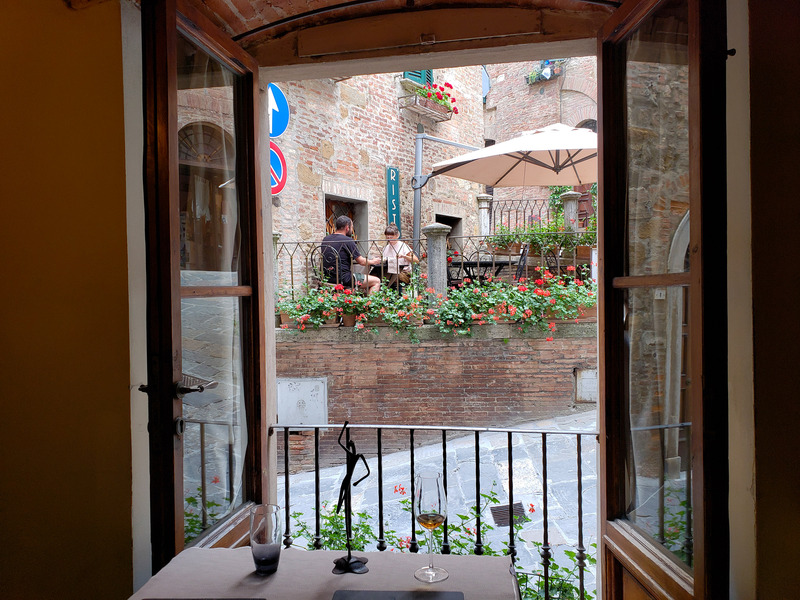 File in: things to do in Montepulciano, Italy. I would love to take a cooking class like this. It sounds amazing! thanks so much, Ella, I hope you get a chance to! Hugs and thanks so much for reading my blogs!! I am learning to cook as of late. This sounds amazing. I need to get back to Italy, last time I went was in the 80s!